PURPOSE: The purpose of this paper is to showcase and share, at international level, the successes in the collaboration between the North-East Arid Zone Development Programme (NEAZDP) and the Center for Arid Zone Studies (CAZS), University of Maiduguri in research and development inputs. NEAZDP was designed for the improvement of rural sustainable livelihoods, thereby reducing poverty and soil degradation in Yobe and Borno States of Nigeria, with effects of climate change on rural communities. DESIGN/METHODOLOGY/APPROACH: NEAZDP was a well-planned socioagricultural livelihood project that had the support of base-line scientific data provided by the multi-disciplinary CAZS. Programme management and technical assistance services were provided by the Danish group of consultants (Danagro Adviser A/C and Hannemann A/S) in partnership with a Nigerian company, Diyam Consultants, for the period 1987-1995. An environmental impact assessment, community reconnaissance and needs assessments were all carried out as an initial part of pre-project activities, thereby making the communities more aware and educated about the accruable benets of the projects for sustainable environment and livelihoods. FINDINGS: Yobe and Borno States are the most desertification affected states in Nigeria. In fact, they are part of the country’s frontline desert threatened states, constituting more than 40% of the total land mass of Nigeria. This strategic intervention empowered the rural communities, improved livelihoods, and attenuated some of the detrimental social, economic and environmental impacts in the two states. The project has strengthened the people’s resilience, encouraging participation in arid agriculture, aquaculture, Great Green Wall development, trading, dry season gardening and many other developments. Because of its success, especially what Yobe State has sustained to date, the NEAZAP concept of sustainable rural development was adopted. ORIGINALITY AND VALUE: The successful implementation of the project is a case study of the collaborative efforts of NEAZDP and CAZS, both financially supported by the Delegation of European Communities, which has achieved the desired results for the benet of the rural communities, environmentally friendly activities, and sound foundation for sustainable development. 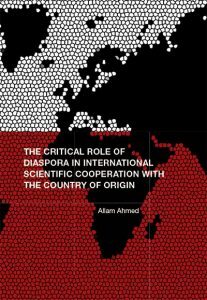 The success of the project is discussed, with recommendations for active future participation and collaboration of Diasporas in similar research and developments in Nigeria. KEYWORDS: Partnership in research and development, sustainable livelihood, bilateral financial support, community participation, environmental impact assessment, Great Green Wall and sustainable rural development.